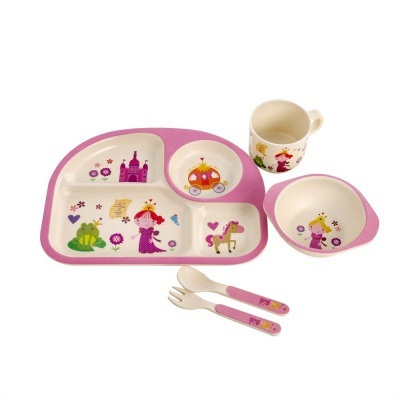 A wonderful kids bamboo fibre dinner set. This high-quality 5 piece set includes a dinner plate, bowl, cup, fork and spoon. 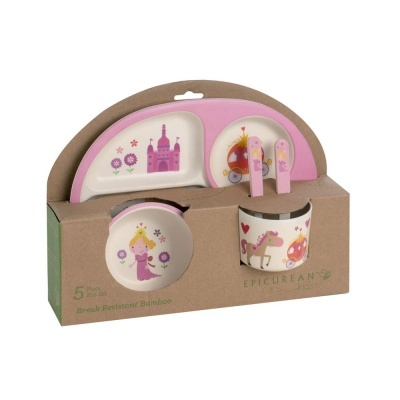 A wonderful kids bamboo dinner set. This high-quality 5 piece set includes a dinner plate, bowl, cup, fork and spoon. Made with a mixture of sustainable bamboo fibre and melamine to ensure a safe and break resistant tableware. Complies with EN14372/EN14350. Plastic-free packaging.